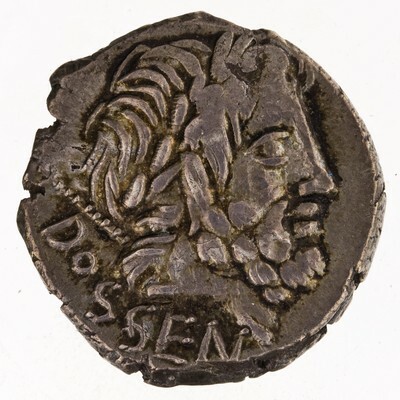 Obverse: DOSSEN - Laureate head of Jupiter right, with sceptre over shoulder . Border of dots. 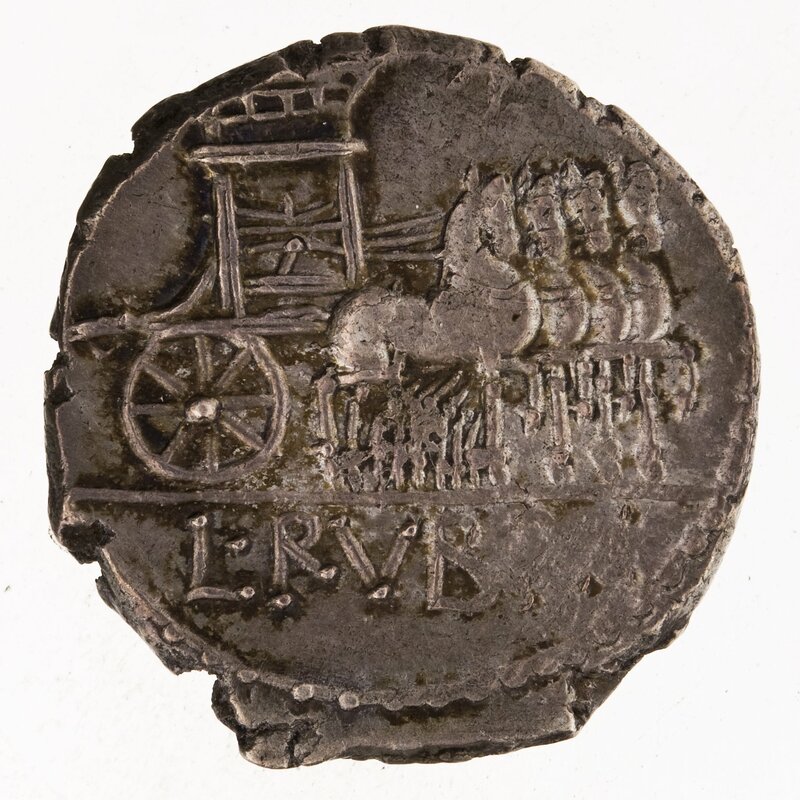 Reverse: [L·]RVBRI - Triumphal quadriga (with thunderbolt on side-panel) right; above, Victory with wreath. Border of dots.